As we let go of the past we will transmute and transcend the lower levels manipulative controls that we have allowed ourselves to be governed by. The world is changing almost beyond what we could have ever imagined. We are birthing NEW EARTH from the womb of Great Mystery. The 9th Wave Universal Frequency is a Light that is shining from “Within” us and is guiding our Road to Birth with NEW EARTH. The 9th Wave Universal Frequency is an 18 day cycle that Divinely emanates as the result of the 9 Level Mayan calendar completion on 28 Oct 2011. These 18 day shifts of consciousness are felt as a Divine energy that moves our awareness in a wave-like motion from 18 days of DARK to 18 days of LIGHT. From 10 to 27 July is the 18 days of the 45th Universal Day. The 1st Universal Day started on 9 March 2011 and lasted for 18 days until 26 March 2011. The 9th Wave Universal Frequency, metaphorically speaking, for 18 days connect our consciousness with the “Original Dream of Great Mystery” in the so to speak night phase or dark and then the sun shines in the following 18 days of light, so as to be awake to and manifest the Divine information Dreamed from Great Mystery. You can view the graphic of the 18 day count under “Articles and Day Keeping”. The 18 days of DARK phase may be seen as when we process our unresolved stuff so as to transmute it and let it go, and the LIGHT phase is when we receive Divine information’s that help us advance forwards in our lives. This website is put together by myself Sean Caulfield. Everything shared in this website is in a respectfully sacred way. I honour and thank all Divine guidance. Besides sharing my Mayan inspired Art, this website shares a very deep understanding of the cycles of life regarding the perception of TIME that the 9 Level Mayan Calendar reflects in its extreme expansiveness. The 9th Wave Universal Frequency of the Mayan calendar is the result of “The God of Nine Steps” completion, called Bolon Yokte K’uh. This allowed for the veils that were blindfolding our consciousness to be totally lifted, hence we are now able to see everything for what it is and flow through 13 intentions on each step. The fruition of the 9 levels or steps is allowing for the Cosmic Seed of total truth unto itself to grow through the HEART of consciousness, however we are very much only in the beginning stages of NEW EARTH and still at the effects of the old distorted systems of the lower dense levels of manipulation. The tuning of our consciousness into the purest and highest 9th Wave Frequency of the Universe will help us journey past our limitations that try invoke fear on us to not change. The minds physical attachment thinks it needs to control to survive, it does not like the word “change”, this is purely because of the minds limitations and insecurity to live through spiritual understandings. Each day we change and naturally evolve by alchemical transmutation, by this we transcend the past so as to birth the future, we are thus continually growing in awareness on an individual and collective level. In ever moment we are birthing through 13 multidimensional energetic fields of Divine resonance that allows for consciousness to grow by transcending its limitations by adapting to the NEW EARTH, whereas before the completion to the top of the Mayan calendar pyramid of “Time” we lived by a flawed existence that was not transcending 13. It could have been seen that we as a collective consciousness were birthing prematurely, hence we are now in the NEW EARTH going to evolve to become mature and shift our ways to live sacredly and responsibly. This is what is Divinely being allowed for so that we can be part of NEW EARTH. The flowing through 13 on all 9 levels initiated the 9+9=18 day Universal Frequency that is now bringing all into right relation with itself. This is a sacred force-field that we are being Divinely transmuted by and are subconsciously transmuting ourselves by. This is all happening as part of the original agreement that transcends all that is not sacred or not been given permission. Being in tune with this means you are living from a balanced Heart that the mind understands how to selflessly let go to, this is the key for peace of mind to flow through you. This is the vibration that is giving birth to NEW EARTH. The 9th Wave Universal Frequency tunes our consciousness into the truth that the Universe exists by, this is bringing all humanity to let go of old destructive patterns that no longer serve a NEW EARTH that we are birthing. We are becoming conscious to our inner truth, thus bringing about Peace from “Within”. This is the Divine purpose of the 9th Wave Universal Frequency that was initiated with the fruition of all the 9 Levels of the Sacred Mayan calendar Pyramid of Time on 28th October 2011 with 13-Ahau. The 9th Wave Universal Frequency is “LIGHT” that through Love and Forgiveness transcends all judgments, it is the purest and highest frequency of the UNIVERSE, it is the Divine alchemy of an 18 day rhythm to Creation that is allowing Evolution to further by being in tune with what the Origins and Divine Source of life is planning for. The 9th Wave Universal Frequency supports the change that the sacredness of life is being shifted by, it is a Cosmic force field of Divine energy called Bolon Yokte K’uh emanating as a culmination of all the 9 steps of the Pyramid of Time having completed its journey to the top. The continuation of this culmination is slowly bringing all discords in to right relation with themselves. This continuing process of the 18 days long Days and Nights of the Universal frequency will intensify things in consciousness, unless we let go to what it wants, the evidence says that although we might get this understanding and change with what the Universal Frequency is asking for, the collective may not easily except, hence the forecast is very turbulent, at least for the next few years, and who knows how long. Besides the mathematical alignment to Time, and the various perspectives that we see from this, the 9th Wave Frequency is an etheric resonance that compels us to look “Within”, the answer is to change this world from “Within”. It emanates from the top of the “9 Step Pyramid of Time” and gives us an EAGLE’S perspective of Creation. This sacred frequency is in tune with Creations Divine Will, which ask of us to flow with the Divine “Shifts of Consciousness” that are changing all of Creation to further evolve, which means we have to let go of our physical attachments that “think” we must control to survive. This very high frequency is something we may not hear if we are out of our truth. Because the mind has lead us astray, the 9th Wave Universal Frequency is asking us to brace and heed to the call of your sacred Heart. Since the Mayan calendar’s completion the mind’s evolution can be seen as being complete, the task of the mind is to master itself to be tuned into from the Heart. The Heart is now needing to fully flow through the mind, by this open and clear channel from your Heart we can tune ourselves into the 9th Wave Universal Frequency. Like we have an in-breath and an out-breath, these Universal Waves could be seen as having an 18 day long in-breath and an 18 day long out-breath that also is fuelled by the Divine’s life force pulse of the Universal HEART. This is reflected in our blood that is our life force and is pulsed by our Divine Heart Beat. The feeling is that we as “Time” are spiraling and spinning quicker than our mind can think, we are letting go of the mind and transcending to the Heart’s Universal Frequency. The consciousness of “Time” feels so fast that we have to be centered or we might not cope. We have arrived at the center of all centers of the creation of the Universe that is pulling at everything to move through a “Portal” of truth unto itself. If we are not in our truth we might be left behind as a lost residue of the Cosmos. Our “Self” is being tested to the limit. The only way is to trust yourself to let go to the currents of the sacred river of life, we can do this by confronting what our Heart knows it must, over what the mind tries to avoid. We have gone through the ascending/expanding consciousness of 2011/12. The 9 Deities or Cosmic Forces of Creations Universal Tree of Life (9 Levels) have now descended “within” the collective consciousness, this will ultimately resonate all consciousness to be “One Heart” unto itself. However, on an individual and collective level only our potential for this is here, if we decide to remain unconsciously asleep we will lose this incredible opportunity we are being gifted, we need to choose to align to this SACREDNESS that Creation is ever evolving by and continually activate the dormant parts of ourselves to help assist us in these profoundly amplified times we are birthing by. The Universal 9th Wave Frequency compels us to look “within”. This frequency has slowly come into place since its field of spiritual resonance was conceived in March 2011 and fully manifested to completion on 28 October 2011. Humanity has been stuck in a necessary loop of time that it is NOW spinning and spiraling out of, as we are doing this we are having a total recall of the past, this recall is bringing all our unresolved trauma to the surface for us to deal with. so one understands now why the world is in chaos. By this pain we are giving birth to NEW EARTH that can be understood as being supported by the consciousness of the 9th Wave Universal Frequency of Time. When tuning ourselves into the understanding of this frequency we align our inner Light with the HEART of the Universe. It is an unconditional frequency too, this means that we may be flowing with the 9th Wave Universal Frequency of the Heart without knowing it, because if you are truthfully in your Heart and walking your talk you are aligning to the 9th Wave Universal Frequency. The 9th Wave Universal Frequency is shifting our consciousness so as to transcend with the flow of the Divine. It is shifting us by a mysterious DIVINE LIGHT that is from the perceived future, but only recently made itself visible. It is a Light that is actually the most ancient resonance of Time that we have returned full circle to. It has taken more than 16 Billion years for this LIGHT to arrive to completion and be the fruit that will disperse the seeds of Creations original intentions to 13 on all 9 levels. The seeds could not be dispersed until all levels had evolved to 13-Ahau/Light. This Light is actually not separate from us, it is emanating from within everything, it is “within” us and is expanding. This means our genetic makeup is evolving and changing, we are transforming and being resurrected from the ashes of the past that no longer serves us, this being the lower levels of dense manipulations, we are transmuting by this Sacred DIVINE LIGHT that is of the most pure creative energy of Source. This LIGHT is what ignited our journey into existence when TIME began, when the Universe started evolving, when the Big Bang birthed our processes into action, for a reason that gave us a purpose to reach a “state” of being consciously aware of the greatest miracle called life. From reaching this we arrive at the choice. To be, or not to be? For the answer as to how we need to change for the better, we may also look to our roots, the indigenous peoples of Mother Earth, that can be seen as our most ancient reflections that we have evolved from. Like a tree, our roots feed, support and nourish us, yet we as a collective human consciousness are very disconnected from our roots. Our Hearts Primordial roots can be seen as giving us Divine information and are our deepest connection to the Universal void of Great Mystery that is a reflection of who we are within. Like a spiders web, we are all connected as a big COSMIC TREE OF LIFE that the DIVINE CREATOR of all is weaving and dreaming into existence, our job is to be in tune with this as best we can, so as to be a reflection of the Will of Creator, that ultimately has our best interest at Heart. The Creator of all is felt in our Heart, hence we can TRUST ourselves from “within” our Heart, this is where the 9th Wave Frequency emanates from, and will in TIME, bring 100% unity consciousness to resonate through Humanity, I Dream this so. With gratitude to the Maya and their Ancestors for your sacred inspiration in Art and Time. Thank you for holding the memory alive in your sacred ceremonial day keeping of your HEART. To the Heart of the Heavens, to the Heart of the Earth, to the Heart of the Air and to the Heart of the Water. Great Spirit, we ask that you please guide us to look “within” and change our destructive ways, so that we may learn through our separations, that we are all One Heart. 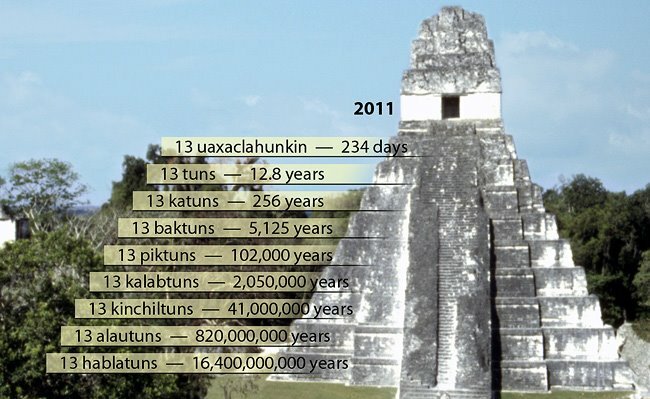 The Ancient Mayan calendar taps into a Divine frequency that resonates to Creation’s Cosmic Tree of Life. More than a calendar it “ALIGNS” you to a mysterious harmonic vibration of the “Divine Alchemy of Life” that allows for one to see meaning to one’s life and be intuitively aligned to your higher purpose. Your Mayan astrological birth Sun Sign reveals sacred information about your life’s resonance and destiny. By looking at each day’s Tzolkin energy we can tune ourselves with our Hearts intuition. All the cycles of the 9 Levels continue as fully manifested “Cosmic Forces” that are emanating a true and transparent alignment with the Universal Frequencies of Creation’s Divine Will, we are birthing as fully aware multidimensional Light Frequencies. The Sacred and respectful way is returning and this can be understood in our walking in truth unto ourselves. This is where the Divine Creator “within” ourselves is shifting us to see ourselves for who we are and how we need to change in accordance with the Divine Plan that is seeing to it that a Golden Era on New Earth will Birth, the choice is ours, to be, or not to be. Duality is the greatest paradox that has been necessary, the study of the 9 Level Mayan calendar allows for one to see and understand this. FOR EXAMPLE… The 44th Universal Day is from the 4th to 21st June 2015, the Night phase of 18 days is from the 22nd June to the 9th July, the 45th Universal day starts on 10th July for 18 days, click this link – http://www.xzone.com.au/9thwave.php – for the 9th Wave Universal Frequency Date. Gratitude to Dr. Carl Johan Calleman www.calleman.com, for your sacred work of rediscovering the 9 level Mayan Calendar that has re-birthed an almost dead consciousness, and gratitude to Ian X Lungold of www.mayanmajix.com for your video presentations that have greatly helped to bring awareness of the 260 Tzolkin and the 9 levels of the Mayan calendar that Dr. Calleman shares in his books. More information under “Day Keeping and Articles”. In gratitude to the light for the sacred support and divine guidance, with permission and respect to all life, as we are learning to trust ourselves, we ask for forgiveness.